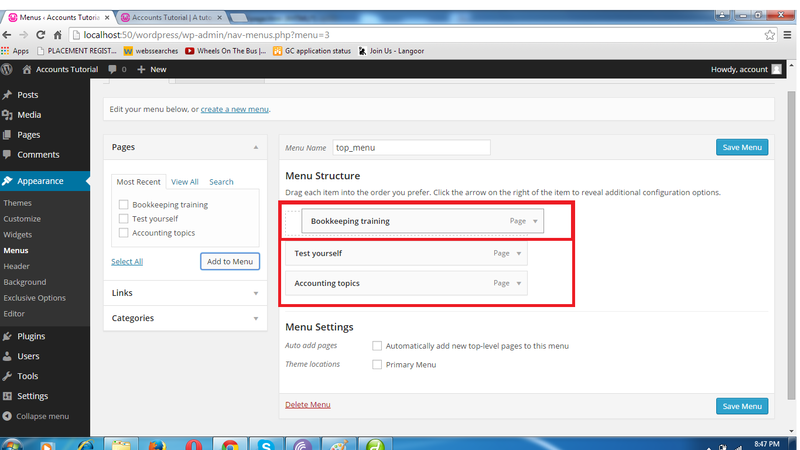 Keep it in mind that you just have created pages till now, you haven’t used those pages in your website. 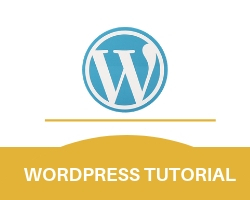 When you will visit the website, either you will not see those pages on your website or you will see those pages in improper manner, that clearly means that your purpose of creating all those pages is not fulfilled yet. STEP 1. Go to Appearance option. A window will pop-out then click on menus from that window. STEP 2. Click on Create a new menu. STEP 3. Enter the menu name in the text box. STEP 4. 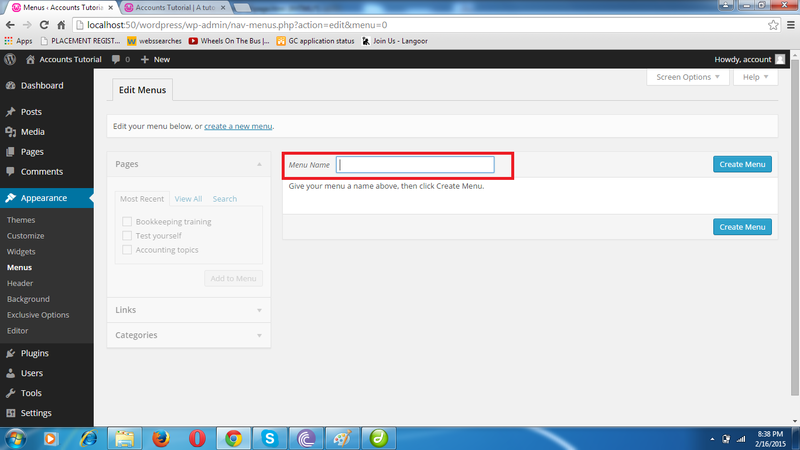 Click on create menu option. STEP 5. Add menu items from the column on the left. check the pages you want to add to the menu you created. click on add to menu option from same window. STEP 6. You can drag and drop the pages to change the position or series of existing pages. 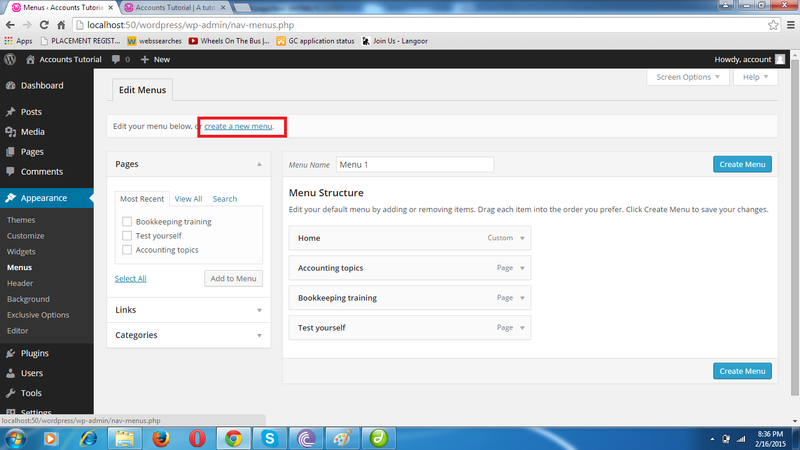 STEP 7.You can create a drop down in the pages(submenu). 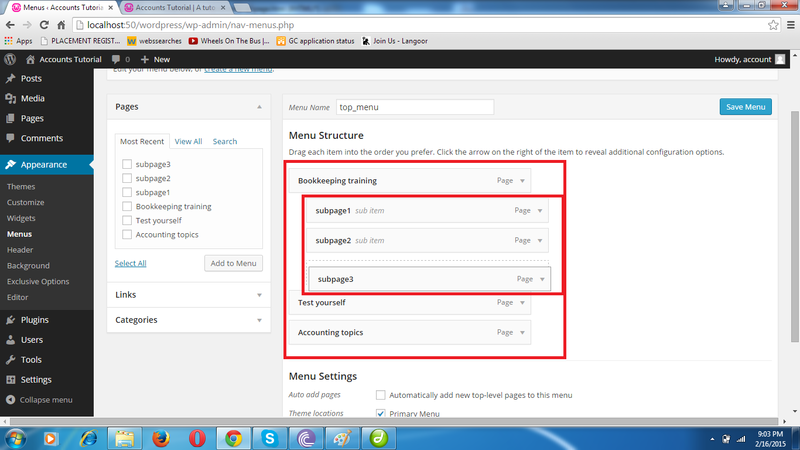 STEP 8.Drag the pages you want to create as subpages and drop them alittle right of the super page(page that you want to create main page). You can also Add category and Link to the menu. STEP 9. 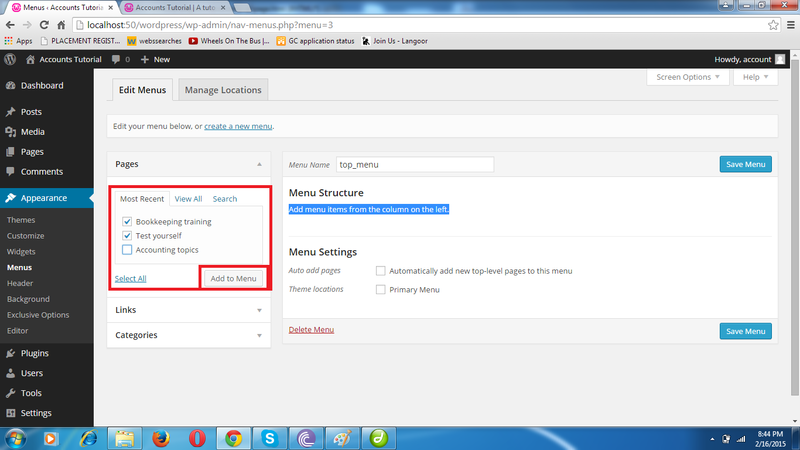 Set the menu settings from menu settings options as per your need. you can select Automatically add new top-level pages to this menu or primary menu. STEP 10. click on save menu. STEP 1. Go to appearance option and click on menus. STEP 2. 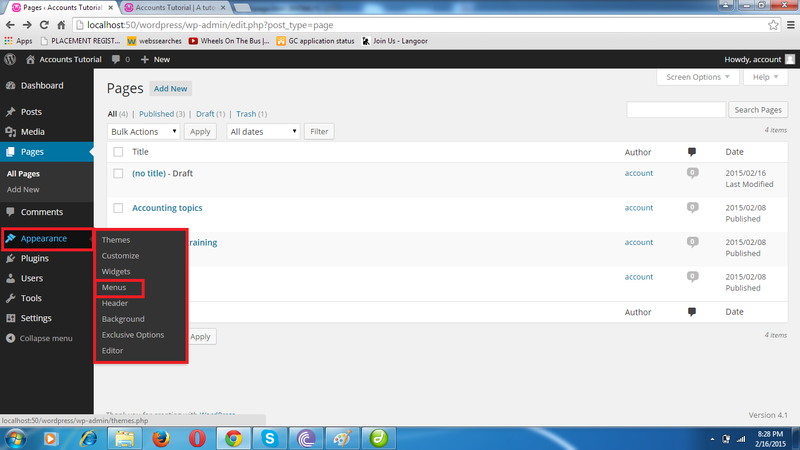 Click on select a menu to edit and select the menu from the drop down. STEP 3. Click on select option. STEP 4. Click on delete menu.